The Economic and Financial Crimes Commission (EFCC) has arrested the six non-executive directors of Intercontinental Bank Plc including its chairman, Mr. Raymond Obieri. They were picked up on Monday after they were invited for questioning over the huge debt profile of the bank. Reasons also emerged yesterday as to why the EFCC, which is now set to prosecute the managing directors of the five troubled banks under the Banking and Other Financial Acts (BOFIA), had been finding it pretty difficult to do so after detaining the former bank chiefs for more than a week. Meanwhile, EFCC Chairman Farida Waziri met with all the newly appointed Managing Directors of the five troubled banks yesterday in a bid by the commission to prepare a final list of loan defaulters. The five other directors of Intercontinental Bank already cooling off their feet at EFCC office in Lagos are Mr. Christopher Adebayo Alabi, Chief Samuel Adegbite, Mrs. Toyin Phillips, Dr. Sanni Adams and Mr. Bayo Dada. Confirming the arrest of the Intercontinental Bank directors to THISDAY last night, EFCC Spokesman Femi Babafemi said they were alleged to be involved in some shady deals, bad loans and using fictitious names to obtain loans among others. In all, EFCC currently has 15 of the sacked bank executives in its custody. Six are from Intercontinental Bank, three each from Afribank Nigeria Plc (Sebastian Adigwe, John Maha and Josiah Isah) and Union Bank of Nigeria Plc (Barth Ebong, Henry Onyenem and Niyi Opeodu), two from FinBank Plc (Okey Nwosu and Dayo Famoruti) and one from Falcom Securities (Peter Okolo). THISDAY has, however, gathered that the anti-graft agency had been finding it difficult to prosecute the MDs of the troubled banks because it could not get the Ministry of Justice and office of the Attorney-General's fiat. The anti-graft agency, THISDAY investigations revealed, had to go back to the drawing board to seek legal advice following which it realised that the EFCC Act provides that the commission could get a fiat from an officer of the Ministry of Justice assigned to the EFCC, which it eventually secured yesterday. Consequently, it was learnt that EFCC is set to prosecute three of the troubled bank MDs- Union Bank's Bartholomew Ebong, FinBank's Okey Nwosu, Afribank's Sebastian Adigwe-, who are already in the commission's custody and prosecute in absentia two others - Intercontinental Bank's Erastus Akingbola and Oceanic Bank's Cecilia Ibru – who are yet to be found. They had been declared wanted by the commission since last Sunday. To compel bank debtors to pay up, CBN also last week published names of major debtors, which has since generated lots of controversies and sparked off strings of rebuttal by some of the debtors. The EFCC chairman had last Wednesday issued a seven-day ultimatum to debtors of the five banks whose management were sacked by CBN to tidy up their debts or face arrest, prosecution and possible seizure of their assets. Reacting to these developments, Akingbola's spokes-man, Mack Ogbamosa, told THISDAY last night that there was nothing wrong in arraigning the former Intercontinental Bank CEO in absentia as this is allowed in law. Ogbamosa said Akingbola, who he insisted never ran away but travelled to the United Kingdom on medical grounds, would definitely return to the country and make himself available. Yesterday, Babafemi said the meeting with new MDs of the troubled banks was called to get their inputs into the list of defaulters EFCC will go after following the expiration of the seven-day ultimatum given them to offset their debts or face arrest. 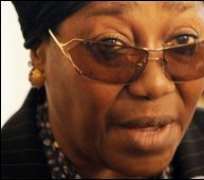 The meeting began soon after Waziri also met with operatives investigating the sacked bank CEOs. Those who attended the meeting include the CEOs of Union Bank, Intercontinental Bank, Oceanic Bank, Fin Bank and Afribank. Fielding questions from journalists after the series of meeting at the commission's office in Ikoyi, Lagos, the EFCC chairman said all defaulters would have themselves to blame when operatives begin their arrest from today. According to her, “today marks the expiration of that ultimatum and it's my fervent hope that those concerned took advantage of the ultimatum to pay their debts. For those who failed to do so, they must be prepared to face the consequences. “We have information that many of them have been holding secret meetings and strategizing to escape arrest and prosecution for economic crimes. “What some of these individuals and organizations have done is pure economic sabotage and we should not allow them to escape with their loot. We therefore appeal to all stakeholders to cooperate with the commission as we go all out after these defaulters tomorrow. Waziri promised to make available the total figure of monies paid so far by the debtors as soon as necessary reconciliations are completed.